Finale + After the Final Rose Bachelorette Status & Points, plus Bonus Results! Will the new Bachelorette be named before during or after this episode? During! Correctly answering each question was worth 25 points, and 80 of you got those 25 points. Check the standings for more details. Finale + ATFR Bonus (for prizes): Who said love the most? If you selected Colton, you were entered to win a prize! Randomly selected to win: Emily Sorenson, Megan Harr, and Shaylee Albritton. Check out FINAL Player Standings NOW! …and both Tayshia and Hannah G. showed an immense amount of grace. We’ll do a final report of scoring, standings, and bonus results tomorrow, but in the meantime, where do we stand heading into tonight’s episode? Follow tonight’s live scoring HERE. Player Standings after last night - will also be updated throughout the evening tonight. Preseason Bonus: So far, no Bachelorette announcement, and it looks like we’ll get that during tonight’s episode. 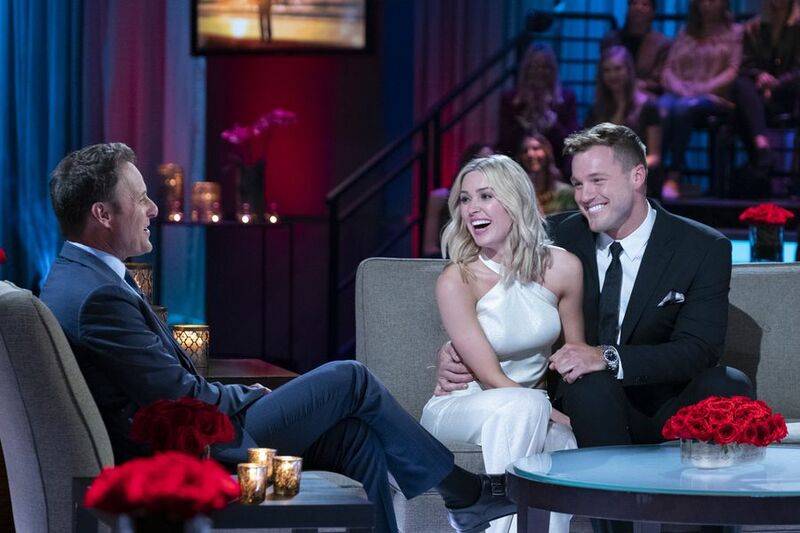 Finale + After the Final Rose Bonus: Who has said LOVE the most? Fantasy Suites + Women Tell All Bachelorette Status & Points, plus Bonus Results! I’ll be back to update this ASAP, y’all. So how did our Bachelorettes do this week? Will there be a helicopter ride on one or more of the fantasy dates? Yes - Tayshia had a helicopter ride. How many Bachelorettes will go up to the Hot Seat? Four. Correctly answering each question was worth 25 points. 31 of you got 50 points this week, and 81 of you got 25 points. Check the standings for more details. If you selected Amazing, you were entered to win a prize! Randomly selected to win: Kellie, Emily O’, and KMDru. 10 matchups, but nobody got all of them correct. One person, Courtney Winkler, got 9/10 and will win a prize. Of the people who got 8/10 correct, two were randomly selected to win a prize: Arley Ann Ross and Sarah Berkowitz. I’ll contact all of you later this week! ***I’m super behind on tanks. Hoping to get caught up this afternoon! Check out Player Standings NOW, and check back soon for Finale BONUS!